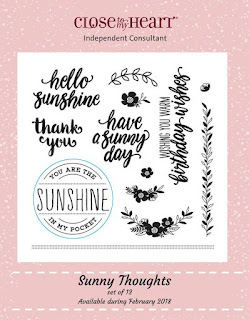 which is "Sunny Thoughts", a set of 13 stamps. If you came here from Vickie ODell's blog, you are on the right path! The blog hop is a great big circle, so you can start here and work your way all around. If you get lost along the way, you’ll find the complete list of participating consultants on Melinda’s Blog: HERE. This month we have approximately 25 Close To My Heart Consultants sharing their creations using the February SOTM and other great CTMH products on their blogs. This is simple to do! I didn't have time to make the card prior to leaving for a conference in Naperville, Illinois. Grabbed some supplies and forgot my scissors! OH NO!! time for some creative thinking - of course, I can make a card without "fancy cutting" even if that's what I had planned to do. I thought of some ideas I read on Karen Morris's FB post following the sell-out of Chelsea Gardens Thin Cuts. 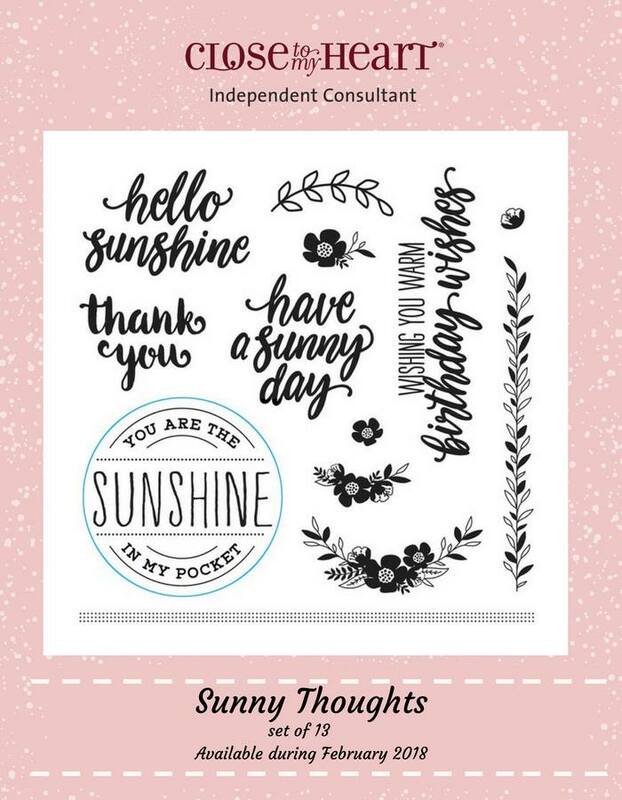 The FB thread is a challenge to think positively, being creative to use the lovely stamp set without the thin cuts. What DID we do BTC (before thin cuts!)? I chose to use the STOM - sans thin cuts or fancy cutting. Make it from Your Heart: Volume 4 (patterns 15). Instead of vertical stripes, I decided to make them horizontal. Now "Hop" on over to Michelle Loncar's blog to see her inspiring work! 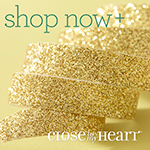 Be sure to visit all the consultants at their blogs to get some great crafting ideas! Please leave a comment, we love your feedback. 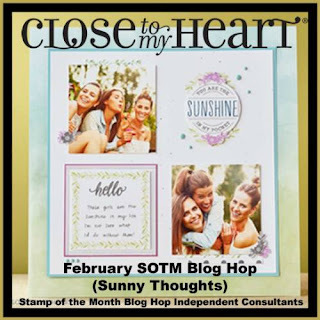 Remember, the February SOTM is only available until February 28! 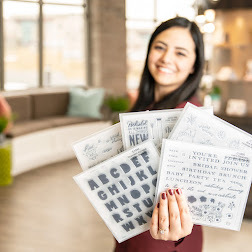 (or click here) to see how you can get this stamp set at a discount! Your random stamping makes it look like a vintage paper. Very elegant card! What a fabulous idea. Love the stamped ribbon. Very classy. What a rich looking pattern on your card. Stunning! Very beautiful... Vintage inspired paper. And you even created your own zip strip! Your Nutmeg and Gold combination attracted my attention right away. I also love your creative ideas for this card when scissors weren't handy. 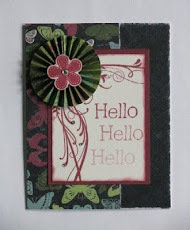 Beautiful stamping, color combo, and card!